Special offer for new customers, take 10% off first service call labor fees. Learn more. MobilEyes, Inc. is pleased to announce exclusive representation of Med-Logics, Inc. line of microkeratome blades for custom flaps in the Carolinas and Virginia. Call now for special savings on excimer laser gas for LaserSight, Nidek, Summit, and VISX. We represent a high quality product at reasonable prices. MobilEyes can help you with your laser gas needs, call 919-387-6314. MobilEyes will be attending the first Joint Meeting of the American Academy of Ophthalmology and the European Society of Ophthalmology (SOE). The Joint Meeting will be held Oct. 23 to 26 and Subspecialty Day will be Oct. 22 to 23, in New Orleans, LA. To learn more, visit the program's website. If you'd like to schedule a meeting during the conference with MobilEyes to learn more about our services, please contact us. We will also be attending the 2005 ASCRS Symposium on Cataract, IOL, and Refractive Surgery American Society of Ophthalmic Administrators, April 16-20, 2005, in Washington, D.C. To learn more, visit the program's website. If you'd like to schedule a meeting during the conference with MobilEyes to learn more about our services, please contact us. MobilEyes is a proud sponsor of the Race of Grace. Proceeds from this 5K road race will be used to address healthcare, homelessness and hunger issues in Wake, Franklin, and parts of Johnston Counties in North Carolina. Check out www.RaceOfGrace.org for more information. MobilEyes is pleased to announce the launch of its new website. View the press release. Download a printer-friendly version of the MobilEyes brochure. Download a printer-friendly version of the MobilEyes flyer. 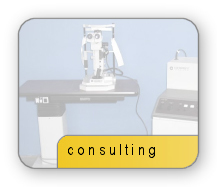 Welcome to MobilEyes, Inc., a leading provider of independent laser repair, laser rental and laser consulting services. 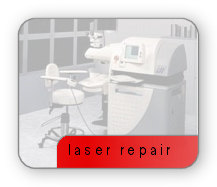 MobilEyes provides onsite laser repair and maintenance to hospitals, clinics and physician offices across the United States, Canada and Mexico. 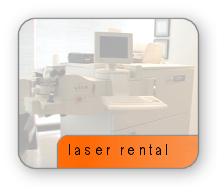 The MobilEyes laser rental service brings a state-of-the-art laser into your practice. We are experienced laser consultants and can provide a non-bias evaluation of your current laser system or one that you are considering for purchase. 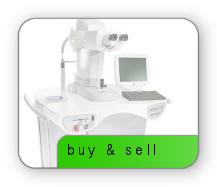 Looking to buy or sell a laser? MobilEyes can help here also. MobilEyes delivers expertise, flexibility, economy and loyalty. Russell's primary concern is that the laser is in perfect working condition. 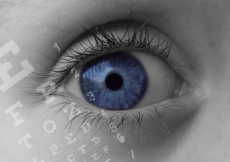 Russell is truly concerned with the procedure and that patients get the best vision possible. Copyright © 2019 MobilEyes, Inc. All rights reserved.